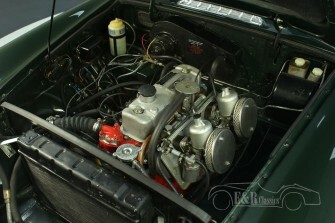 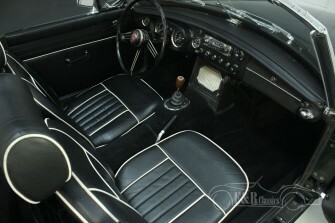 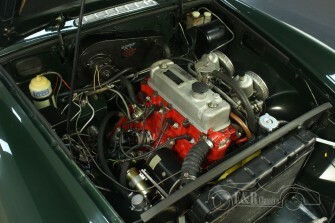 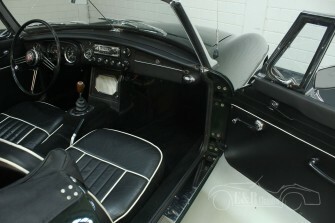 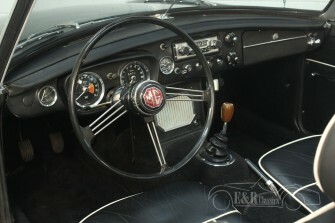 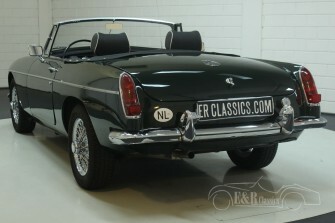 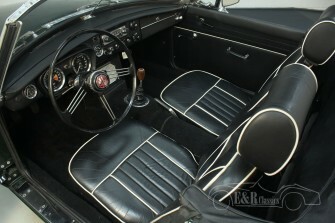 A MG B convertible in good condition, which was delivered new in the year 1966. 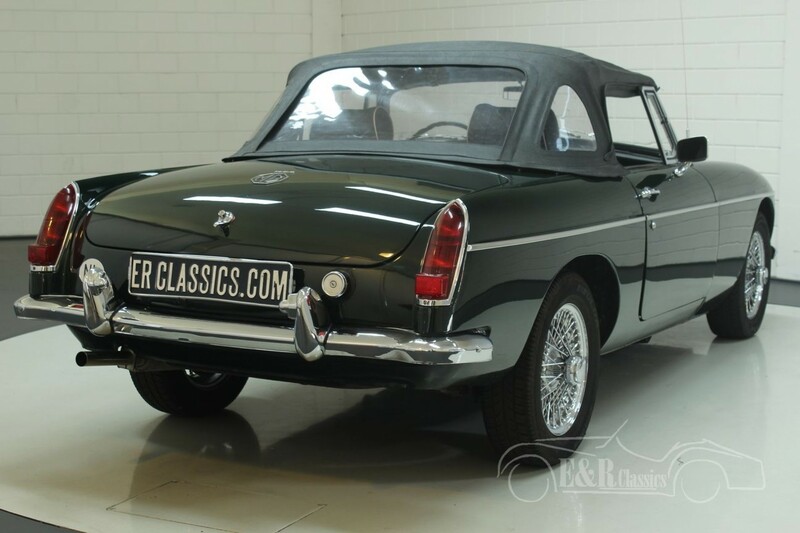 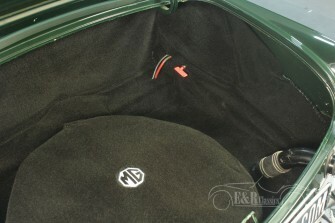 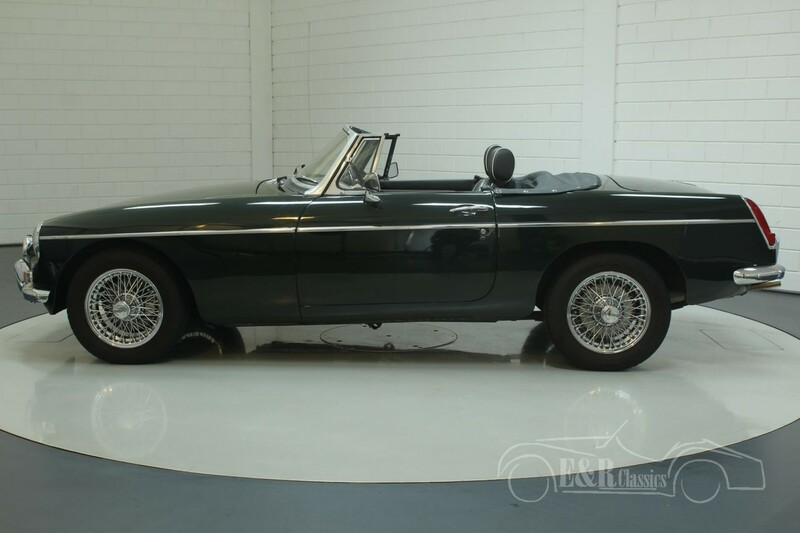 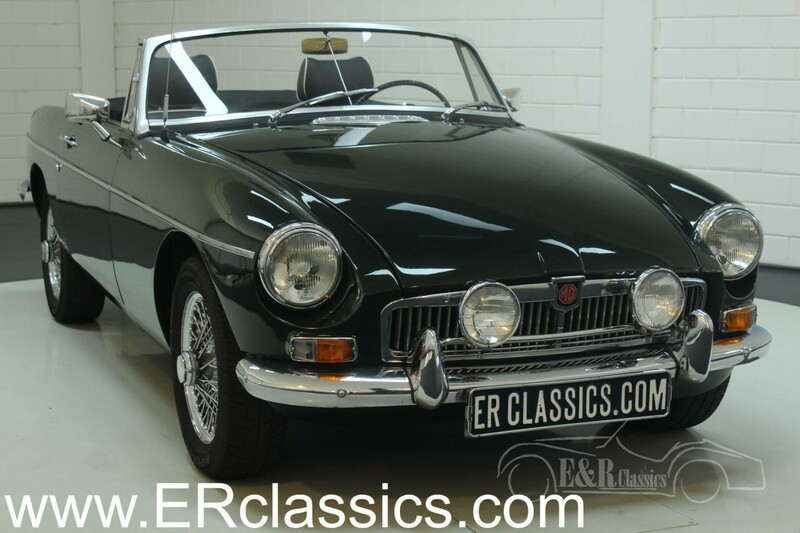 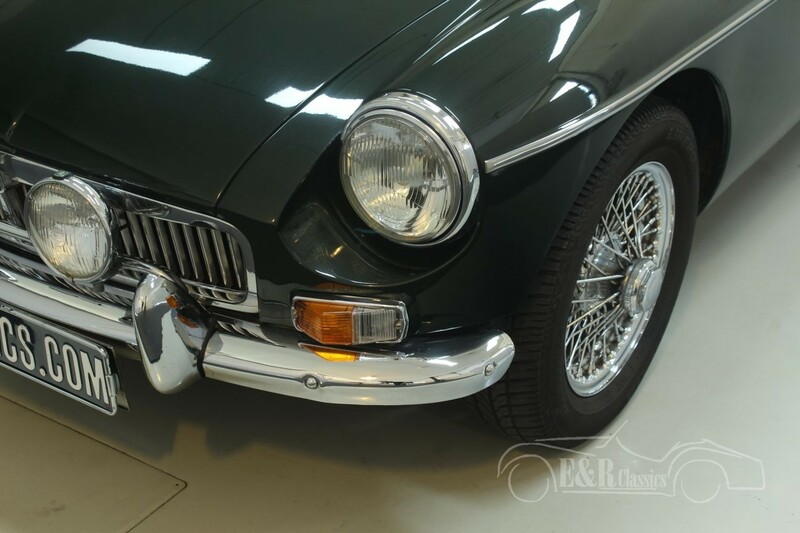 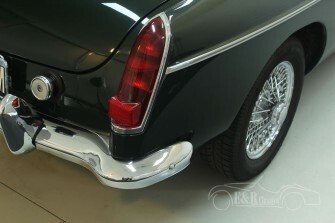 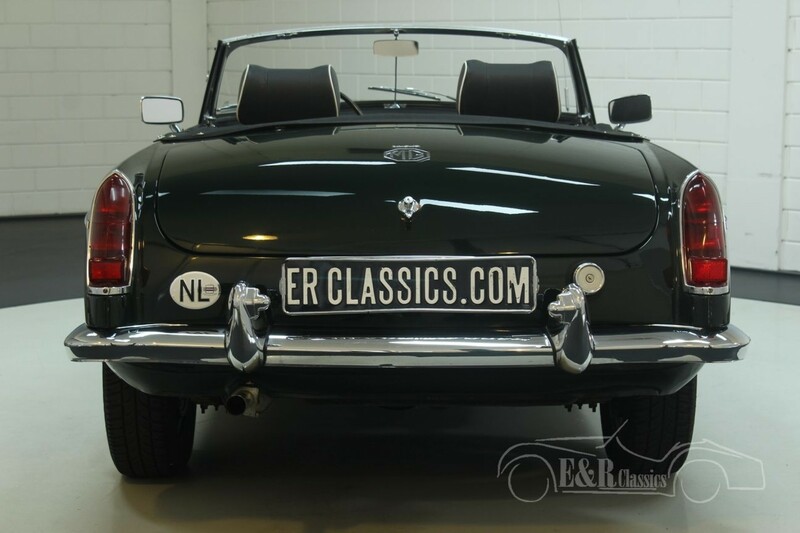 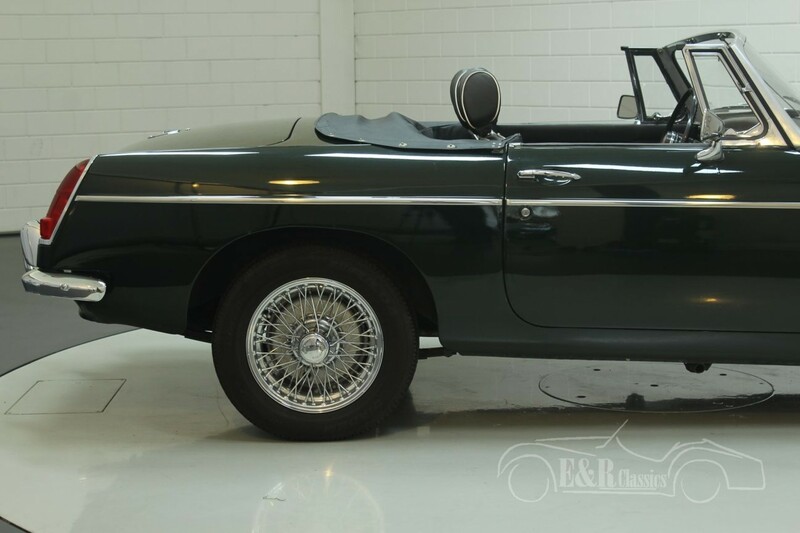 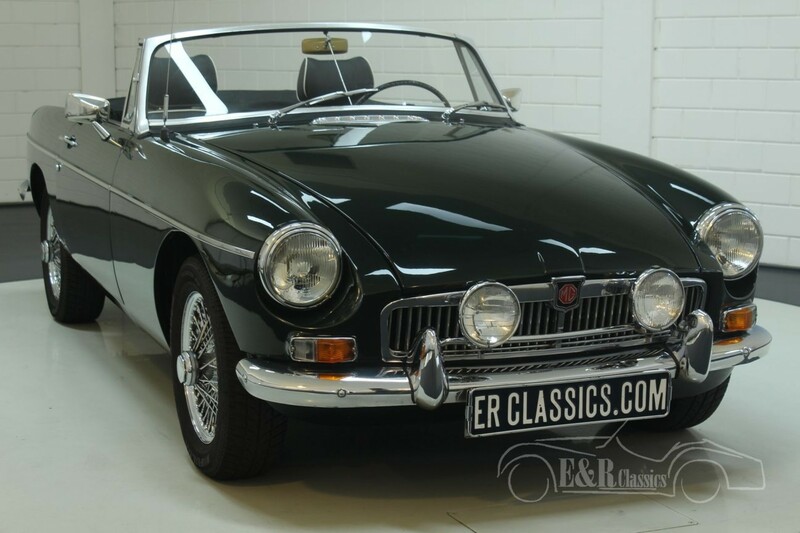 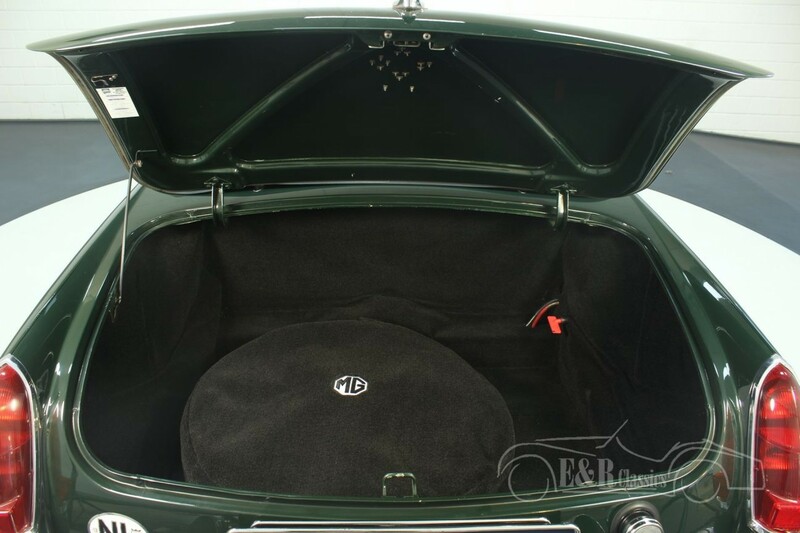 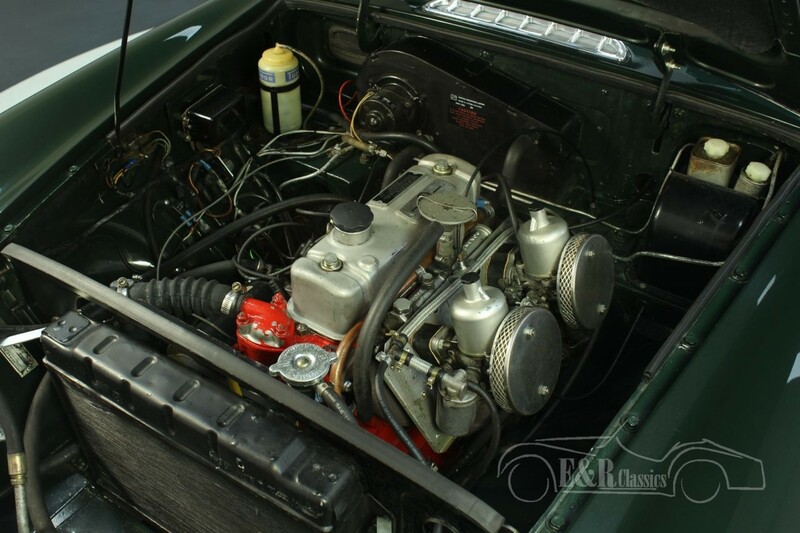 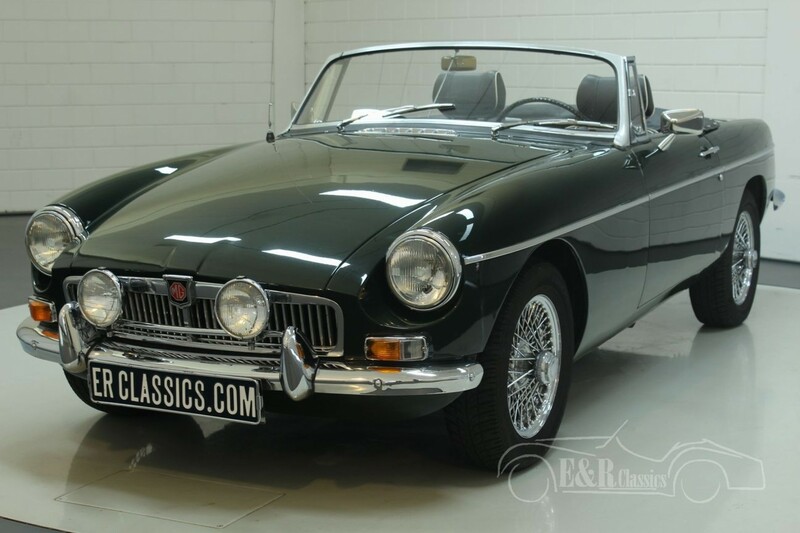 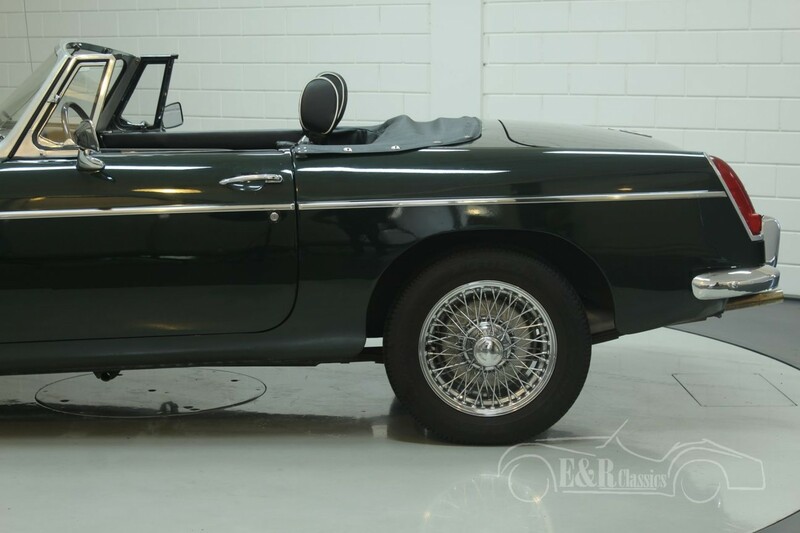 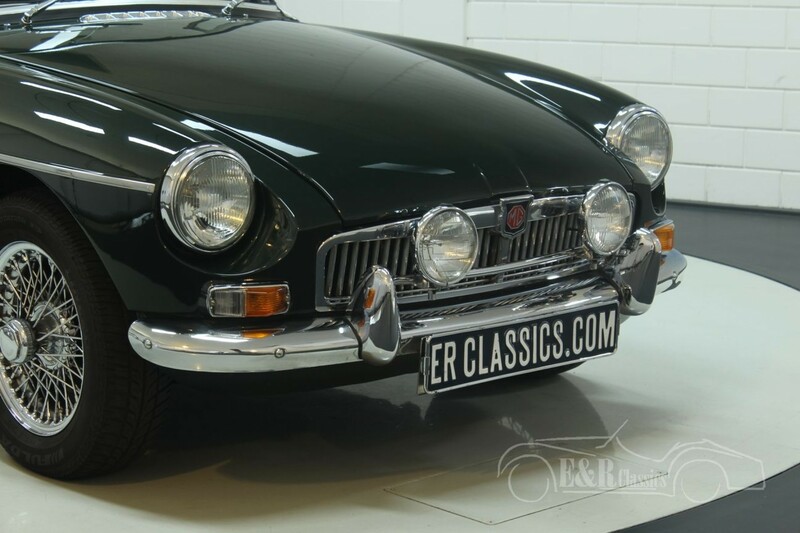 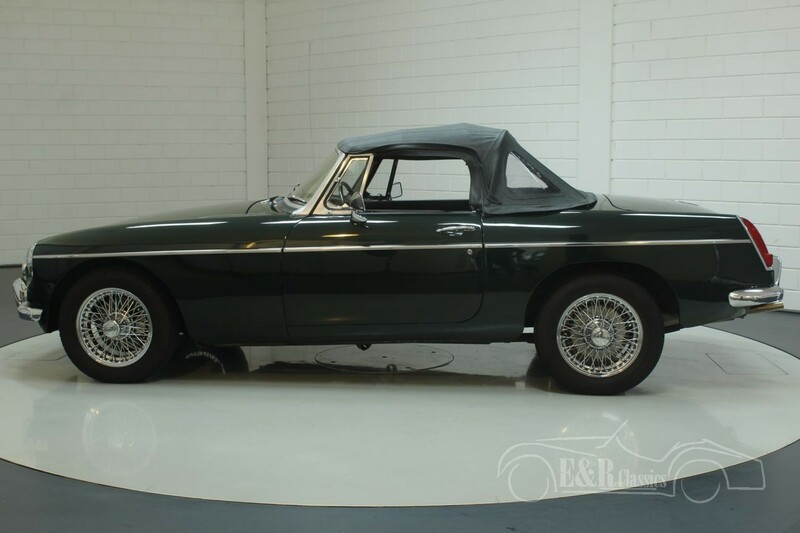 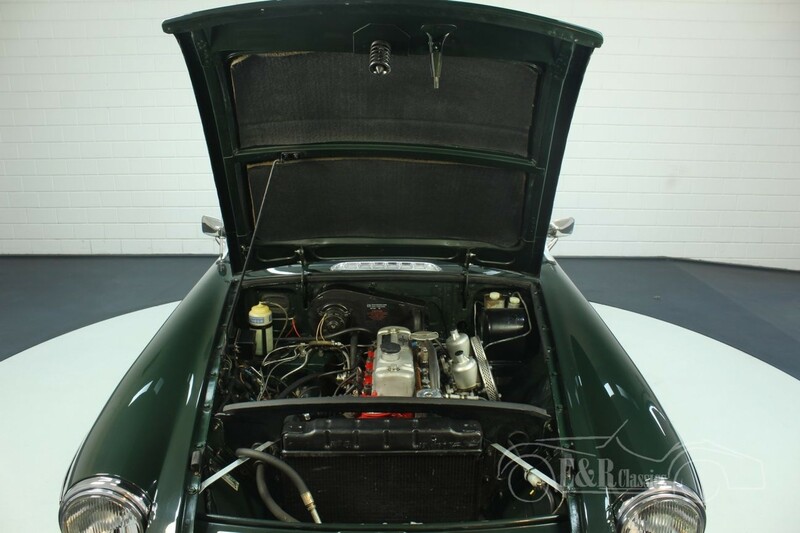 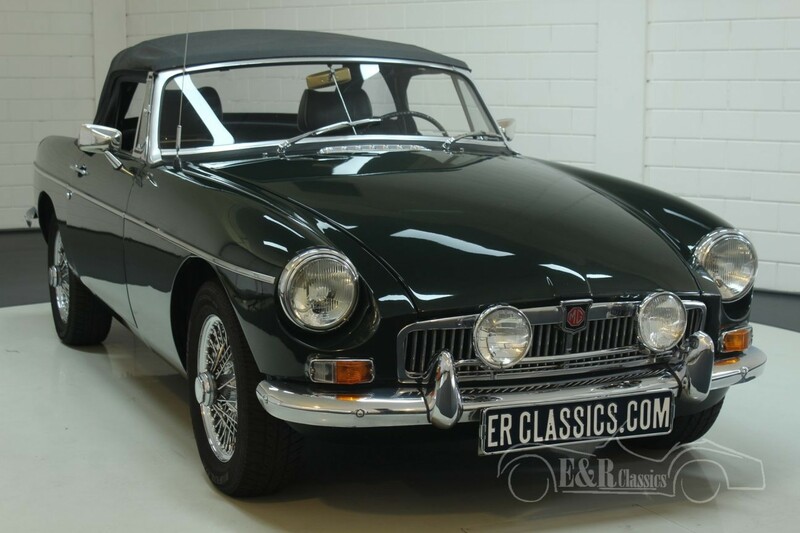 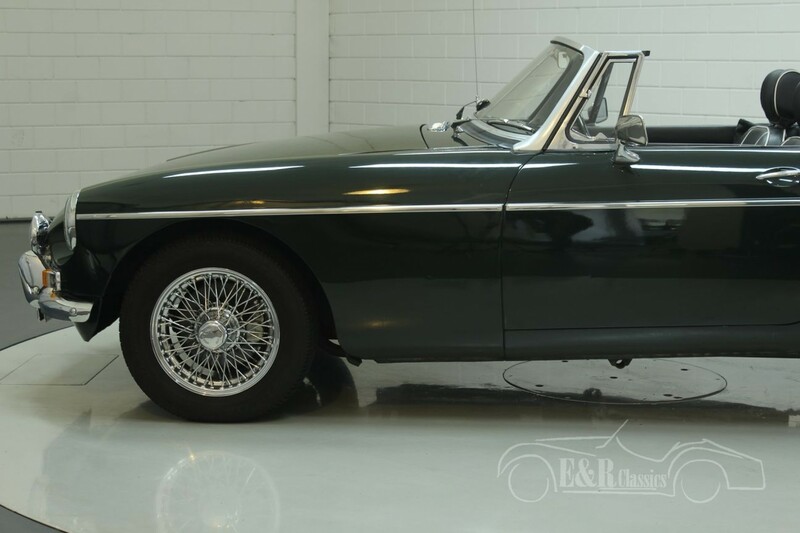 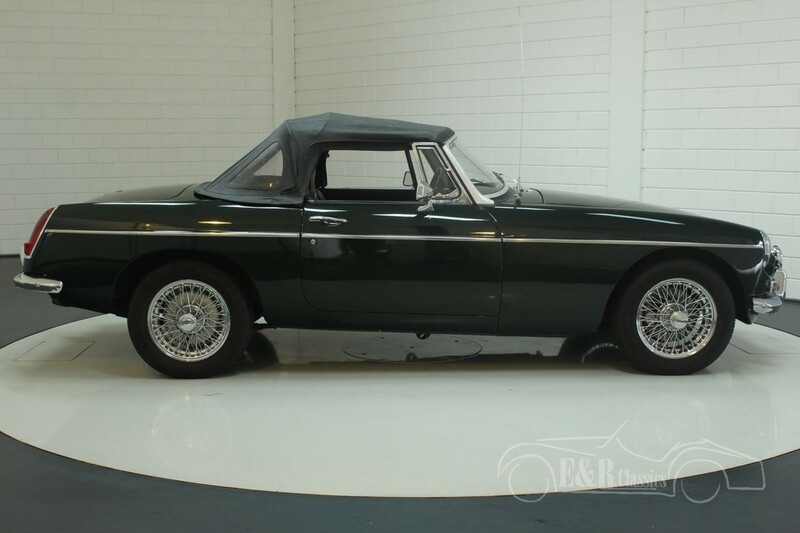 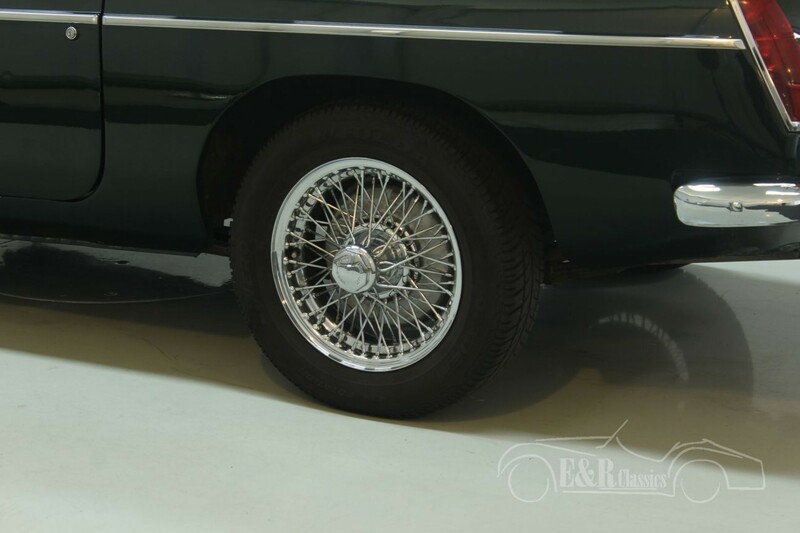 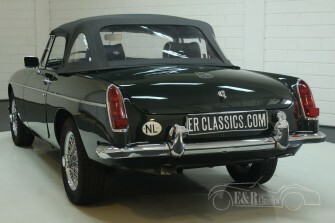 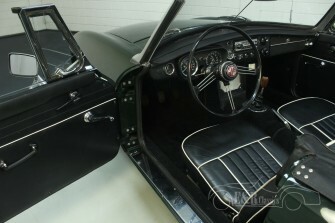 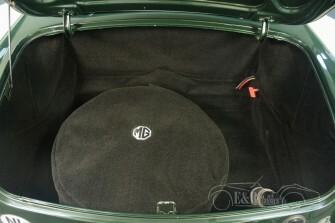 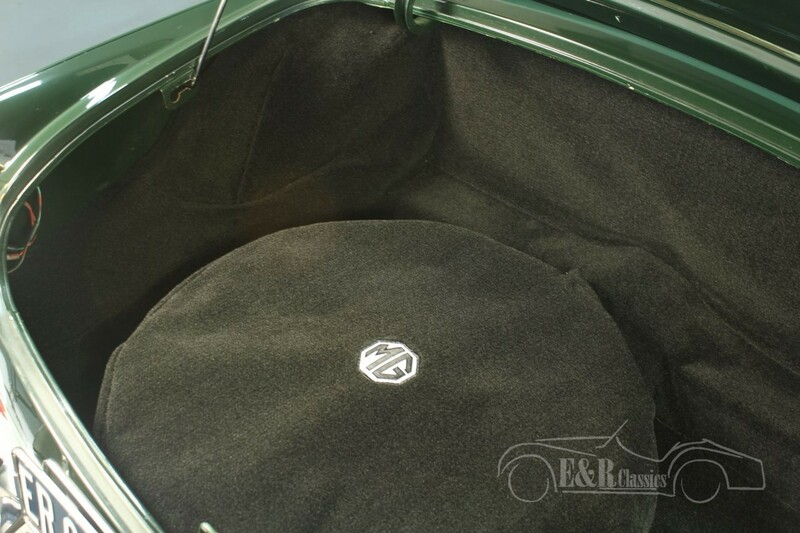 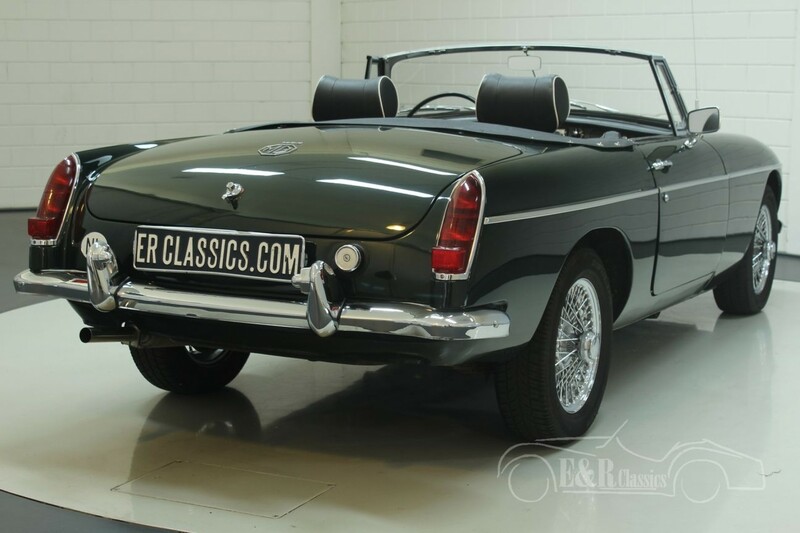 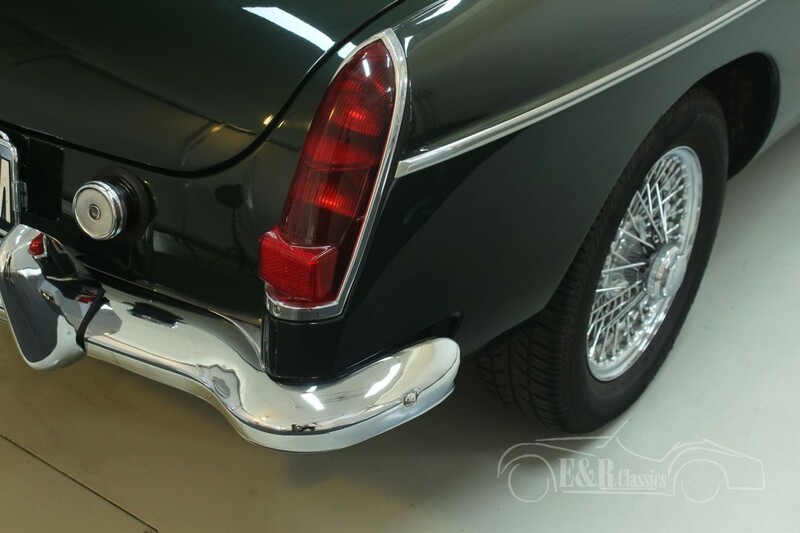 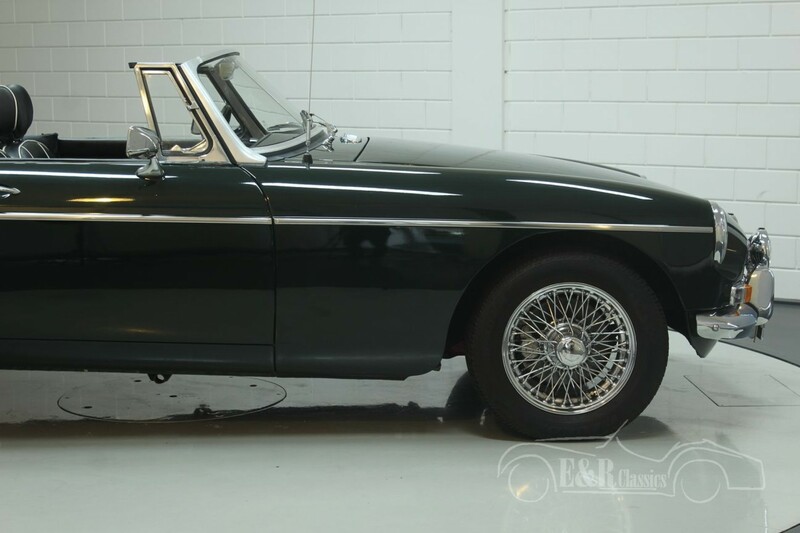 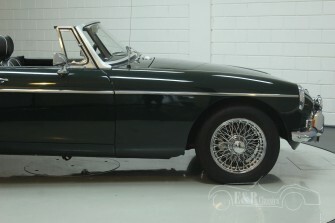 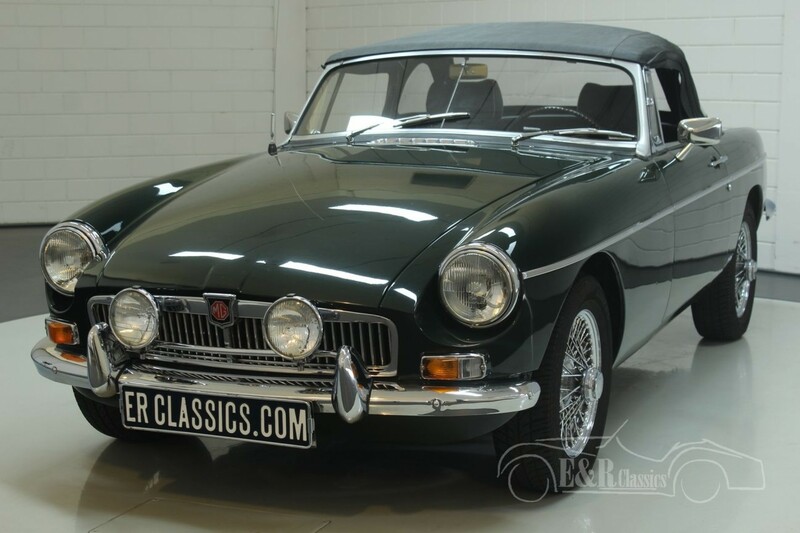 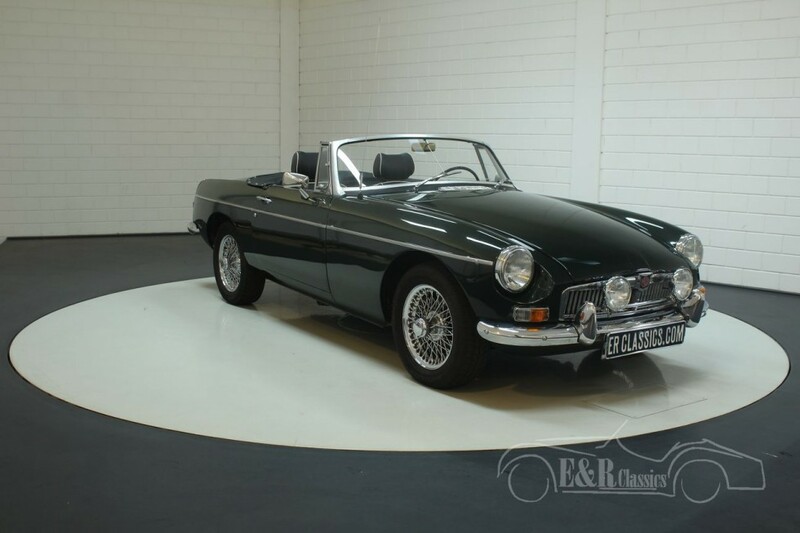 This MG is executed in the popular colour British Racing Green together with a black interior with white piping, the steel dashboard, the spotlights and the chrome wire wheels. 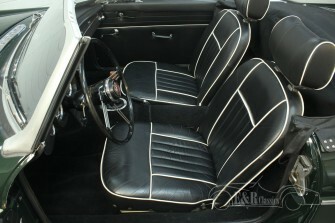 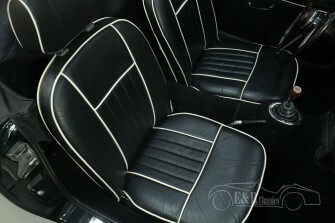 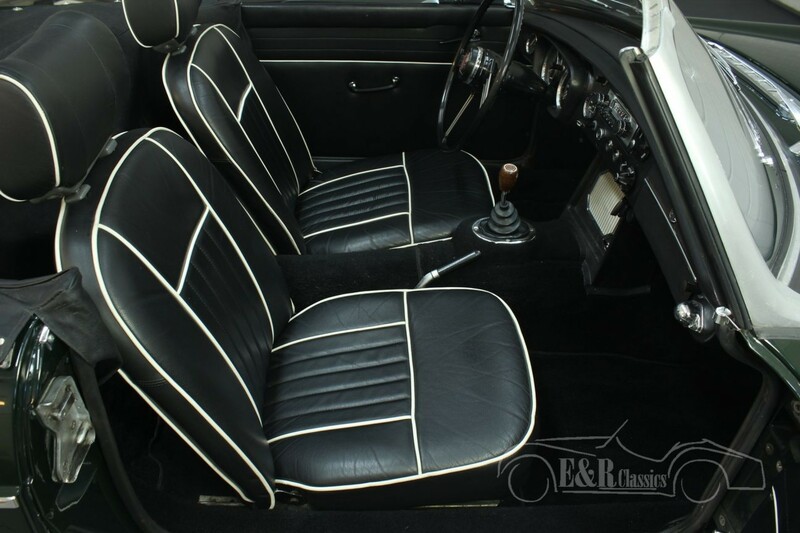 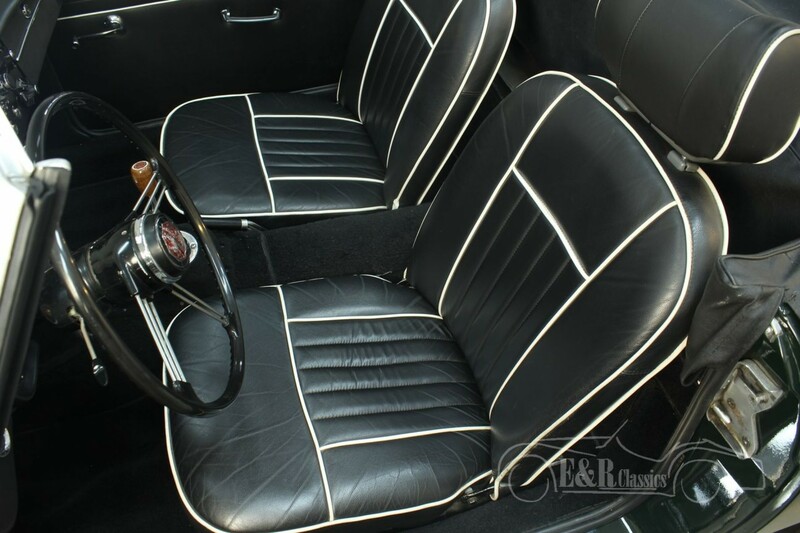 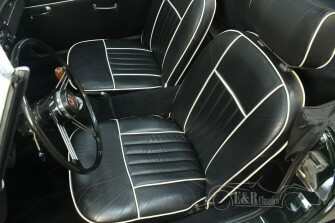 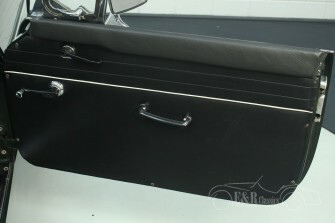 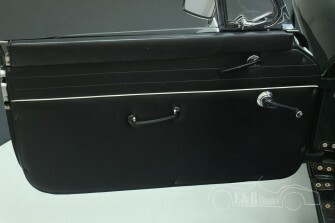 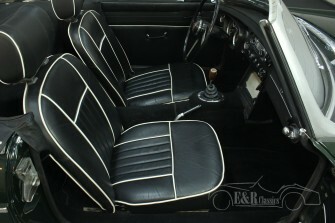 The original seats are equipped with head restraints for more comfort and safety. 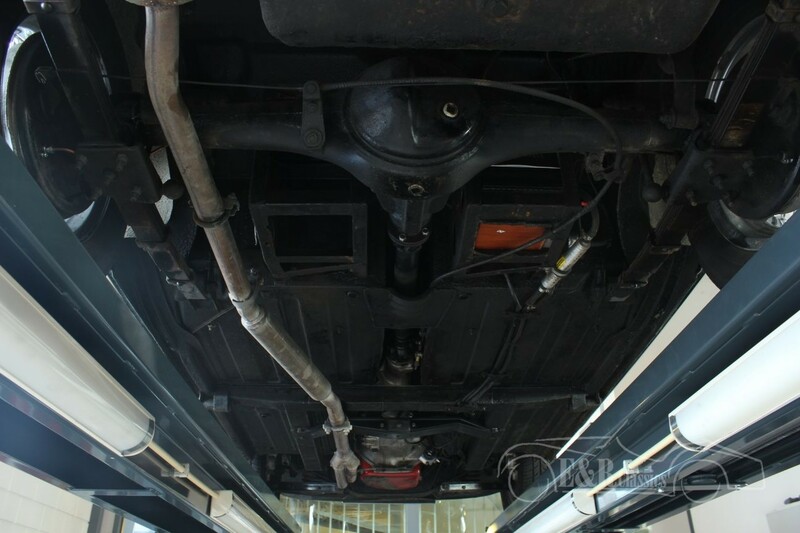 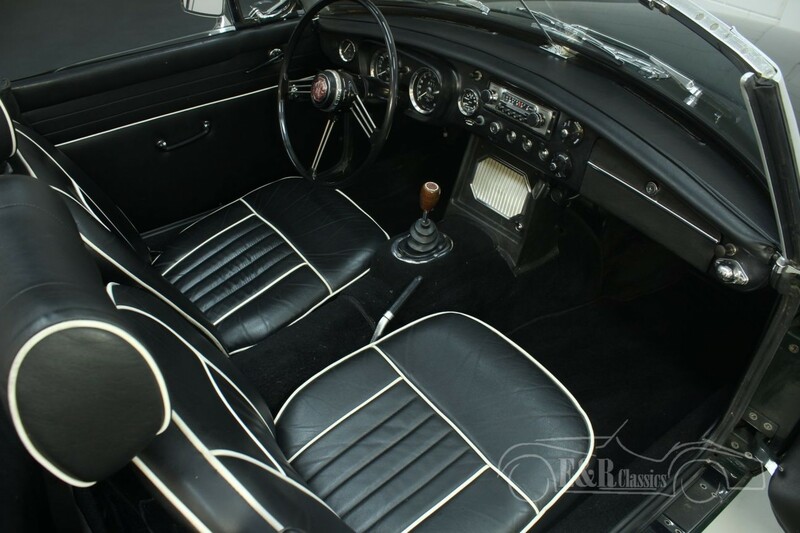 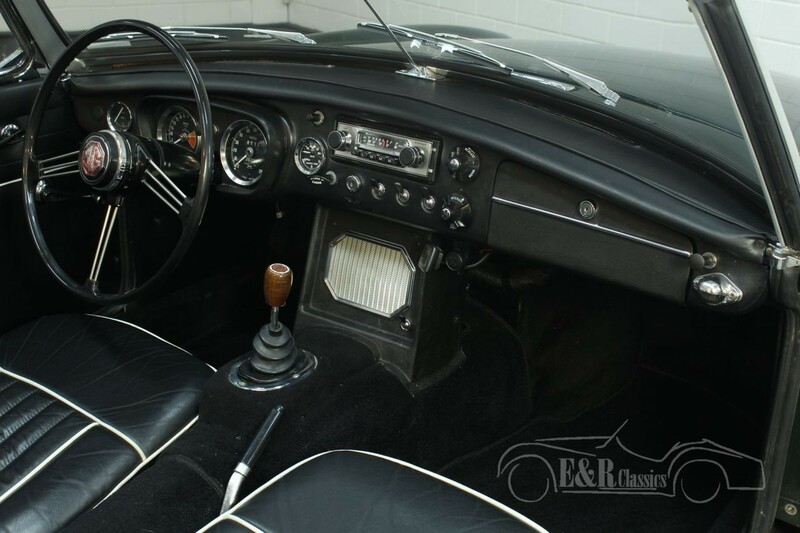 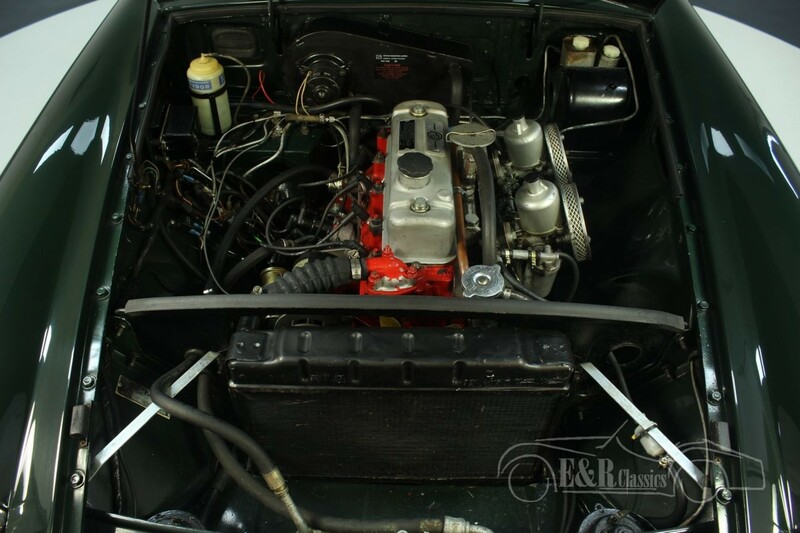 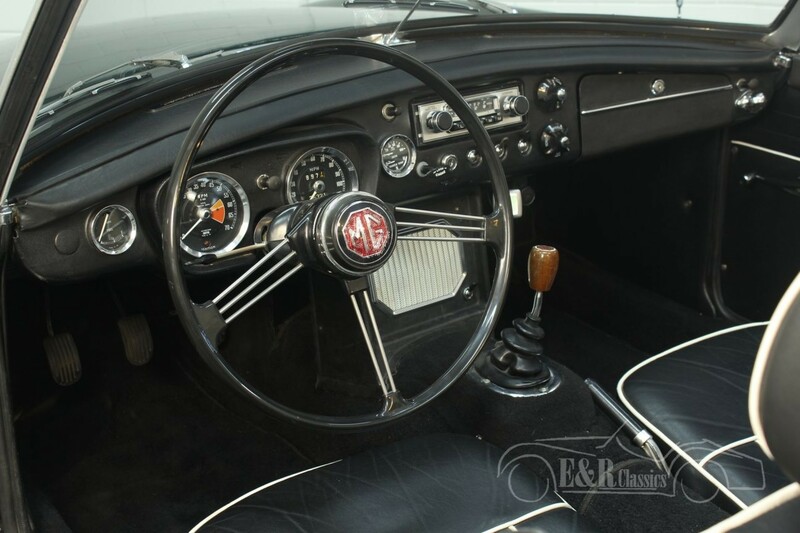 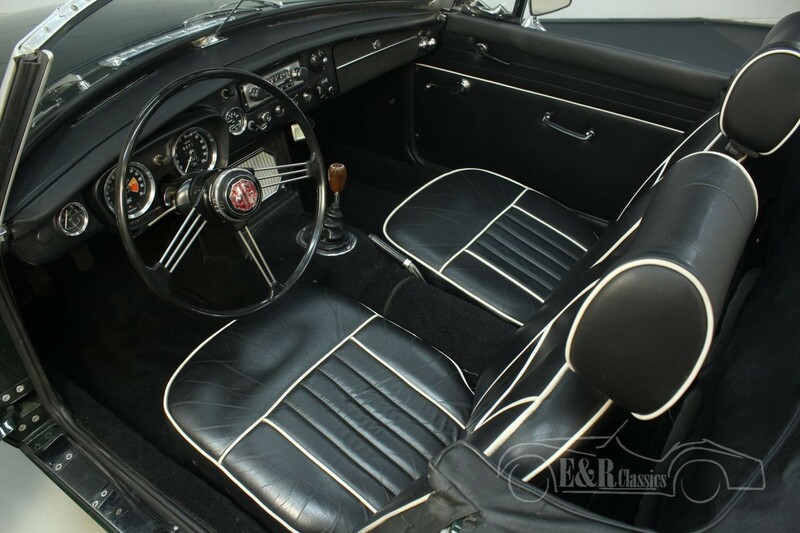 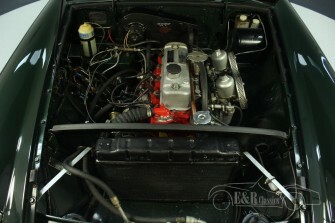 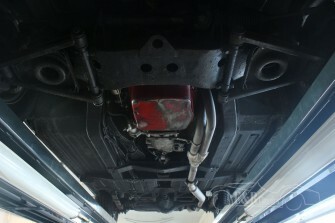 The car is motorized with the 1798CC 4 cylinder engine with double carburettor in combination with an extra oil cooler and the 4-speed manual gearbox. 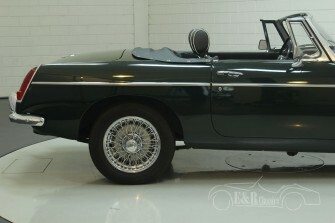 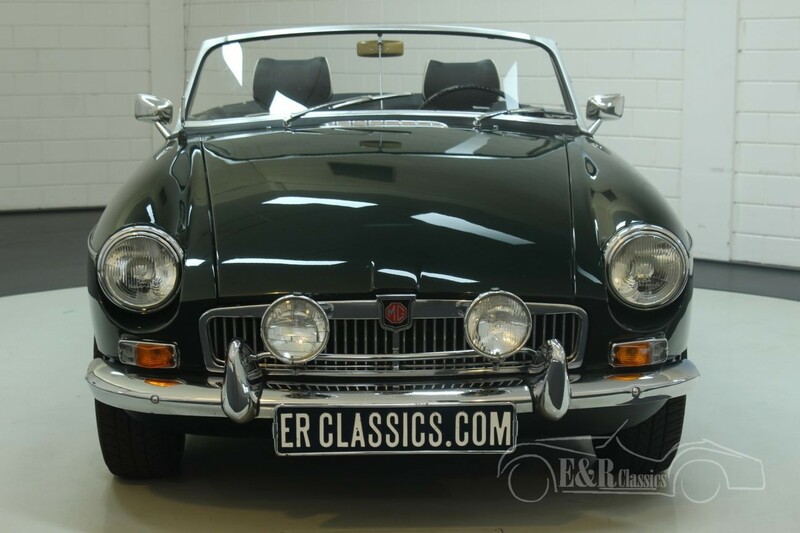 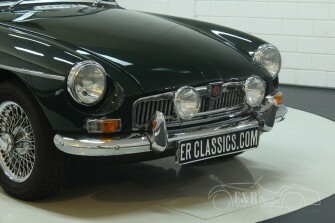 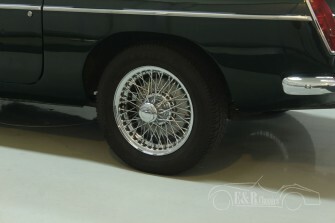 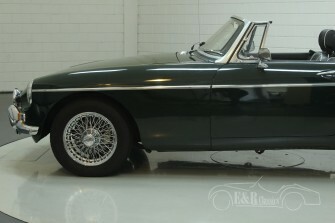 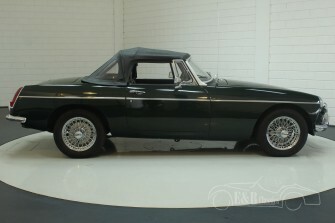 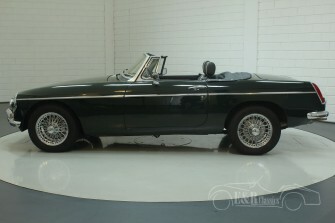 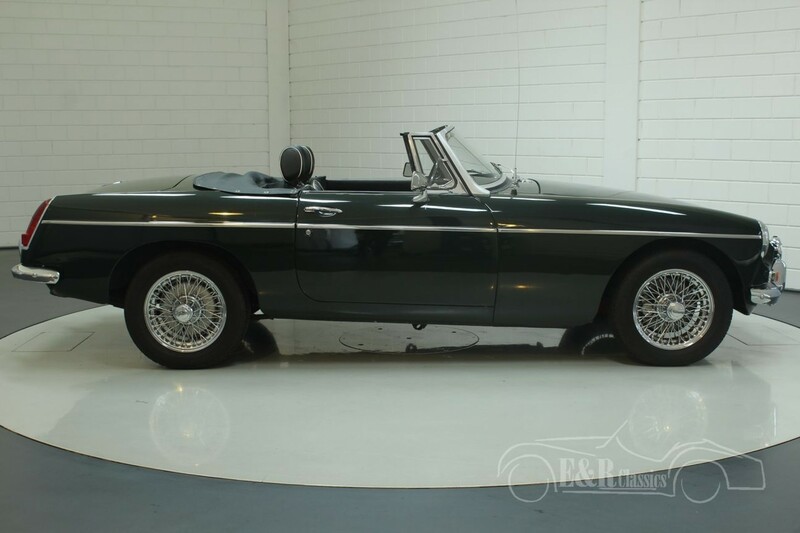 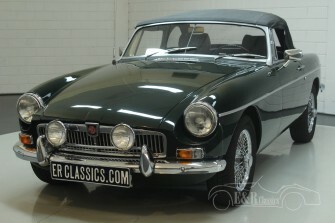 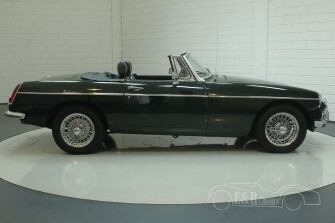 In short, a good MG B convertible in the brilliant colour British Racing Green and the beautiful chrome wire wheels.